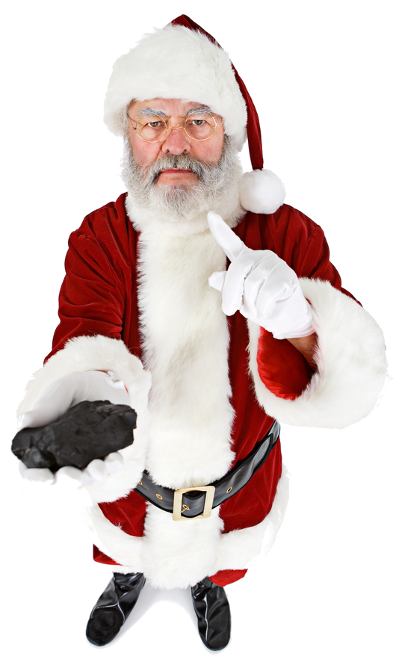 Santa might give naughty kids a lump of coal, but coal is actually a very important material in your life. 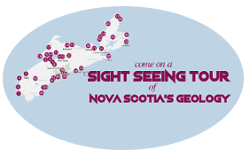 Nova Scotia coal was first mined 350 years ago and today, coal is still an essential fuel in Nova Scotia and in most jurisdictions around the world. 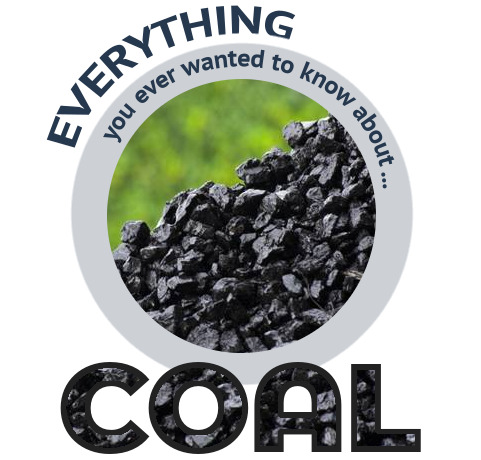 Here is everything you ever wanted to know about ... COAL! Coal is the world’s most abundant energy source. Proven coal deposits exist on every continent, including Antarctica. Coal has been used for nearly as long as mankind has thrived. In fact, coal was used to provide heat in caveman times. 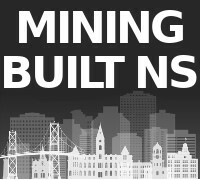 We first mined coal in Nova Scotia in 1672 in Cape Breton – about 350 years ago! The first commercial coal mining venture in Canada was established by the French in 1720 in Cow Bay, Cape Breton, to supply the fortress of Louisburg. The world-famous Cabot Links golf course in Inverness is built on a former coal mine. Coal was first discovered at the site in 1863 and was mined until 1958. Canada is the world’s third largest exporter of metallurgical coal, after Australia and the United States. Metallurgical coal is used in the manufacturing of steel. While Nova Scotia’s use of coal is declining, coal still generates over half of Nova Scotia’s electricity. Coal plays a major role in keeping our lights on, and in powering places like homes, hospitals and schools. The Donkin coal mine, in Cape Breton, is mostly under the Atlantic Ocean. Its tunnels start on land and go under the ocean floor. The main use of coal is electricity generation. Coal is used to generate electricity because it is a reliable and low-cost energy source that is found throughout the world. Coal supplies about a third of all energy used worldwide. Here in Nova Scotia, coal supplies over half of our electricity. 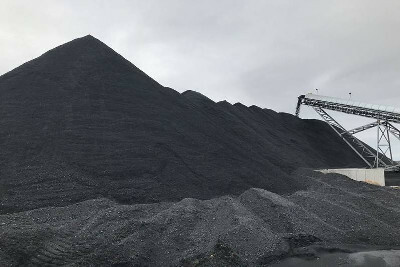 Thermal coal is the type used in power generation. You can't make steel without coal. Steel is iron and carbon, and the carbon is derived from metallurgical coal. It takes 0.8 tonne of coal to make one tonne of steel. Global steel production is about 1.6 billion tonnes per year and it's everywhere - infrastructure, vehicles, machines, appliances, etc. Coal at the Donkin mine in Cape Breton. 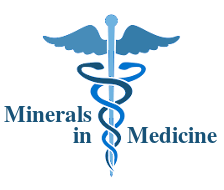 Other important users of coal include alumina refineries, paper manufacturers, and the chemical and pharmaceutical industries. Several chemical products can be produced from the by-products of coal. Refined coal tar is used in the manufacture of chemicals, such as creosote oil, naphthalene, phenol, and benzene. Ammonia gas recovered from coke ovens is used to manufacture ammonia salts, nitric acid and agricultural fertilisers. Thousands of different products have coal or coal by-products as components: soap, aspirins, solvents, dyes, plastics and fibres, such as rayon and nylon. Carbon fibre - an extremely strong but lightweight reinforcement material used in construction, mountain bikes and tennis rackets. make concrete stronger, less permeable and more durable. It helps strengthen our infrastructure. Ash is also used in wallboard manufacturing, roofing tiles and shingles, and snow and ice control. As you can see, coal has many uses. Scientists believe that during the Carboniferous Period (280 to 345 million years ago) large amounts of plant life and other organic matter grew in the swampy areas and lagoons that covered much of the earth. As the plants and other life forms died, they drifted down to the bottom of the swamps, slowly decomposed, and formed peat—a soggy, spongelike material. The peat became buried and compressed under the earth’s surfaces over a long period of time. Over millions of years and through the forces of heat and pressure, the compressed peat became coal. 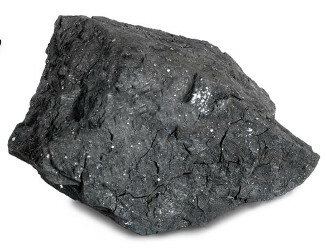 This type of coal contains a lot of moisture and ash and breaks apart easily. Of the four types, lignite has the lowest carbon content and heating value. Also called brown coal, lignite is used mainly at electricity-generating plants. 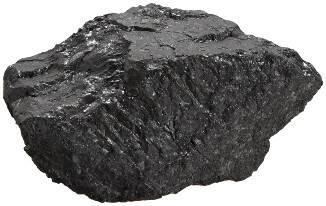 This dull black coal has less moisture than lignite. Subbituminous is generally used to produce steam for electricity generation. 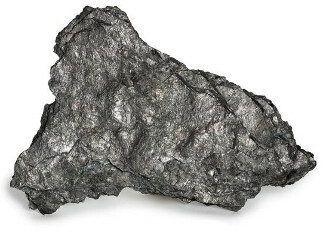 This type of coal, which contains very little moisture, has high heat value. It is used to generate electricity and to produce coke, a coal residue used in the steel industry. Nova Scotia coal is bituminous. 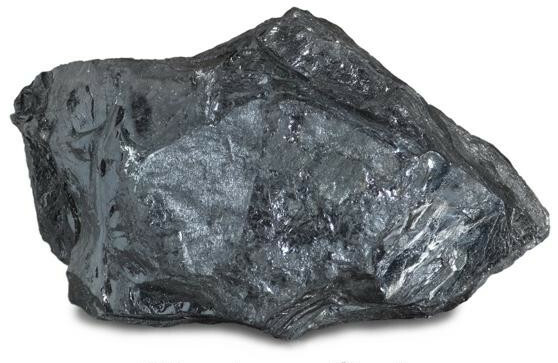 This type of coal has the highest carbon content anduminous.jpg the lowest moisture and ash content. Anthracite burns slowly and makes a good heating fuel for homes.  Surface mining is used when coal is found close to the surface or on hillsides. 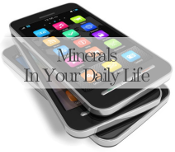 It involves removing the topsoil and subsoil and setting them aside. Machines such as draglines, wheel excavators, and large shovels remove the earth and rock and uncover the coal. This removed material is called overburden. 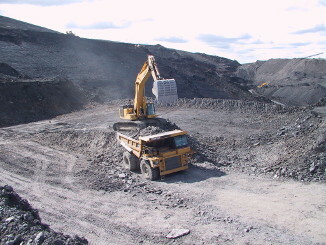 After the coal is removed and loaded into trucks, the area is refilled with the overburden, covered with the soils that were removed, and reseeded. To the extent possible, the area is restored to its original condition or improved. 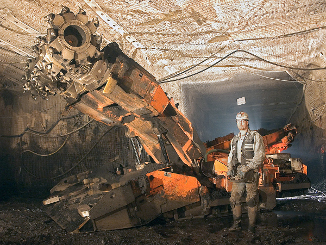 Underground mining is used to extract coal that is deep beneath the surface or in seams exposed on hillsides. 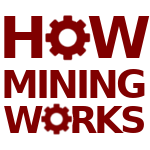 It involves drilling two openings called shafts into the coal bed—one to transport miners and equipment, and the other to bring coal to the surface. longwall mining, or using cutting machines that work along walls of coal up to 1,000 feet long to cut coal and drop it onto a conveyor belt. 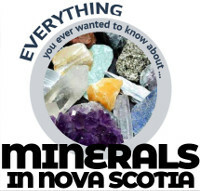 Nova Scotia coal was first mined in Sydney in 1672 and the first commercial coal mining venture in Canada was established by the French in 1720 in Cow Bay, Cape Breton, to supply the Fortress of Louisbourg. 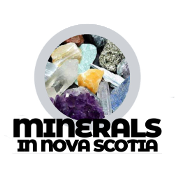 Today, coal is an essential fuel in Nova Scotia, and in most jurisdictions around the world. It generates about half of Nova Scotia’s electricity. While Nova Scotia’s use of coal is declining, the electricity it provides cannot be replaced easily or quickly by any other source. Coal plays a major role in keeping our lights on, and in powering places like homes, hospitals and schools. Mining coal here, instead of importing most of it as we do now, makes it less expensive and helps keep our energy bills down. It reduces the overall environmental footprint of the coal we use by eliminating the need to ship it from South America. 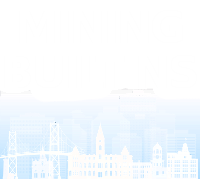 It creates jobs and much-needed economic activity for the province. Burning coal used to produce a lot of carbon dioxide and sulfur emissions that polluted the air. By removing the sulfur and other impurities from coal, it burns cleaner today and is better for our environment. Coal-fired power plants now have equipment installed called scrubbers. Scrubbers remove most of the sulfur from the smoke that is produced by burning coal so it does not get into the air. The ash that is left over from the burned coal is also recycled. In earlier years coal ash was landfilled, but now it is being used to make materials to build roads and cement products. Reclamation, or preparing a mine or quarry site for its next use, is key to ensuring future generations will continue to enjoy an area after we have taken from the ground the materials that we need to support our modern society. For example, the Coalburn mine was reclaimed in 2005 and today it is beautiful rolling fields with a pond and lots of wildlife. 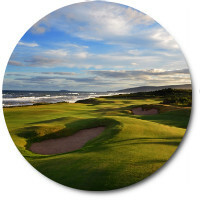 Another example of a reclaimed coal mine is the world-famous Cabot Links golf course in Inverness. Coal was first discovered at the site in 1863 and was mined until 1958. 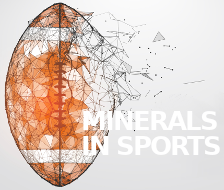 Mining and quarrying companies are committed to minimizing their environmental impact while working on a site, and then to reclaiming it in ways that maximize its use for communities.